If the striking color scheme of this 930 doesn't grab your eye, the athletic stance, incredible body language, and RSR bodywork ought to. Yet, despite its punchy exterior and its ferocious reputation, this one isn't a widowmaker, as the clever men at Patrick Motorsports have made it almost a pussycat—"almost" being the operative word here, of course. The striking paint scheme will make this a standout, as will its RSR bumpers, which house the Setrab oil coolers. 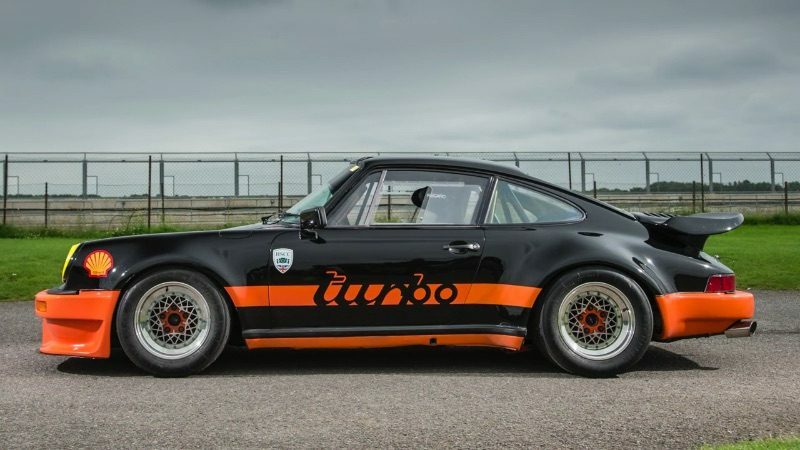 Without many of the foibles this Porsche is associated with, the 911 looks incredibly positive on the front axle, and from that first stirring shot from the sidelines, you can see how the rock-hard suspension and incredible Quaife ATB differential help this car rotate neatly and sweetly into any corner. It's not disconnected between the front and rear axles; the Porsche is further stiffened by an integrated rollcage, which is clothed in a carbon roof skin, and so the machine operates as a cohesive unit. As that incisive front end and pointy character puts the 930 Turbo on a fine line, it's necessary that the engine doesn't contribute to much snap-oversteer; the power delivery has been softened to help the car dance on the limit of grip. Unlike the eons of lag and mule-kick thrust that these motors are are renowned—or feared—for, the 400+ horsepower is delivered predictably and progressively. This is the result of a special KKK turbo, some mild headwork, new cams, valve-relief piston tops, B&B stainless headers, and a collection of other cool pieces. That isn't to say that the breakaway isn't abrupt, it is, but the slides aren't caused by an unfriendly, temperamental motor. When it does slide, it's still that old-fashioned bruiser that commands respect, but provided the driver has the courage and the talent, the Porsche is cooperative and communicative. The machine obviously demands strong arms and plenty of steering accuracy, but it offers a reassuring link between the engine and the chassis, the front end and the rear end, and the driver with the 911 itself, which fits them like a mechanical glove. 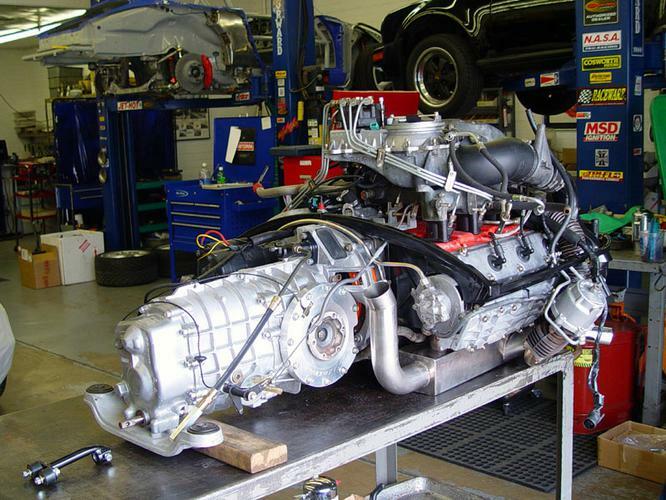 The custom 3.3-liter motor mated to a G50 transmission.